The UCI will next week release details of the University of Lausanne’s report in to Astana and from that update its position on the Kazakh team’s license. Speaking at the Tour of Oman, Tour de France winner Vincenzo Nibali has said he will wait to hear the decision before making a comment. Cookson wouldn’t comment on how compliant Astana were with the investigation, stating this information would be made public at the same time. 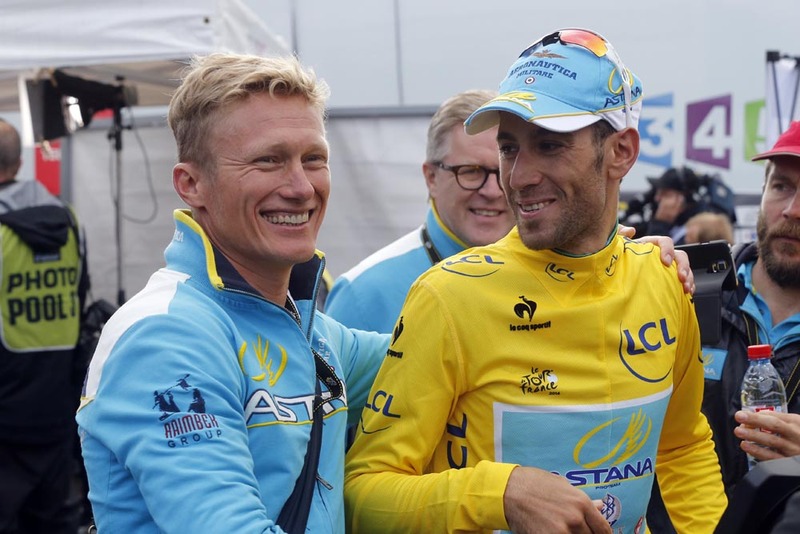 He came under criticism last year for not taking a strong enough stance when Astana were issued a licence – from Lance Armstrong of all people – but reiterated the fact that they had followed the rules. “I don’t get too worried about what Lance Armstrong might or might not say about me. He’s entitled to his opinion. We will not enforce the rules by breaking the rules.” Cookson said. Astana boss Alexandre Vinokourov has suggested his state funded team has become a scapegoat for cycling. The team however has been involved in doping and race fixing incidents since day one. Vinokourov himself was banned for blood doping having been kicked out of the 2007 Tour de France. Soon after he announced his retirement in an attempt to have his ban reduced but came out of retirement when his ban ended. He remained unapologetic for his doping, referring only to ‘mistakes’ and vague admissions of wrongdoing while quickly returning to the level of performances he enjoyed before his ban. He finally retired after winning the 2012 Olympic road race in London. Vinokourov’s position as team boss of the Tour de France winning squad is one of the driving forces behind calls for a ‘fit and proper persons’ test for those running and working within professional cycling teams. This is expected to be addressed in the findings of the Cycling Independent Reform Commission (CIRC). No matter the decision taken next week, this may not be the end of it. Cookson confirmed that the UCI is still waiting to receive details from the Italian Padua investigation. “We have asked for the report, but we haven’t had that yet. We’ve read what’s in the media but we can’t act on media reports. These are all issues that the Licence Commission can take in to account if they are asked to look at this situation again.” Cookson said.